Storing chains, hooks, tools and any other items needed to operate your handler (some customers even use the tool box to carry the tents needed at the graveside). Convenient storage and peace of mind knowing that you have everything you need for operating the vault handler, right at your finger tips. No need to load and carry a separate tool box on and off your truck. 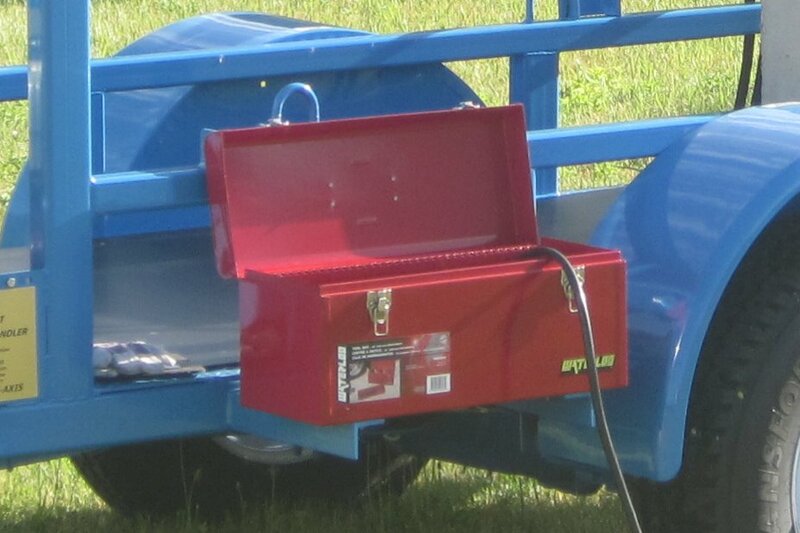 Carrying and keeping all the tools you may need at the graveside is made simple with a tool box attached to your Logan Handler.